TIMONIUM, Md. – Collectors will be gathering in suburban Baltimore on June 1st to inspect the real estate in an upscale “neighborhood” of early mechanical and still banks with an architectural theme. High-end cast-iron banks replicating various types of buildings – some generic and some immediately identifiable as famous structures – are the featured highlight of RSL Auction’s 500-lot sale to be held at Richard Opfer’s gallery in Timonium. The event will begin at 11 a.m. Eastern time. Numerous rare examples will make an appearance in the auction, including at least 12 banks that were formerly in the collection of the late Donal Markey, an influential dealer and collector of antique toys, banks and folk art who passed away in March 2010. Several J&E Stevens painted Cupola banks are among those in the Markey group. All are in beautiful condition and some are finished in unusual colors. Their estimates range from $1,400 to $1,800. “As any experienced bank collector will tell you, Don Markey was a stickler for condition and had a fantastic eye for original paint,” said Ray Haradin, partner in RSL Auction Co.
Another bank with provenance from the Markey collection is a George Brown early American tin production replicating the Bunker Hill Monument. Manufactured around 1876, it boasts pristine-plus original paint and says “Bunker Hill” under the base. It is expected to reach $3,000 to $4,000. Also boasting a Markey-collection pedigree is a near-mint Home bank by Judd Company. It is an extremely rare multicolor version painted in yellow and red. Bidding could reach $2,500-$3,500 on auction day. JEP (French) Torpedo Rocket open car, tin, original box, est. $3,000-$4,000. RSL Auction Co. image. Approximately 130 architectural still banks were consigned to the sale from a single-owner collection. A highly appealing group, it includes all three versions (small, medium and large) of a House with Bay Windows, a form that is one of the most sought after of all Stevens still banks. “Most collectors don’t even have one of these particular banks, including myself,” said Haradin. “To have the opportunity to bid on one of each size in the same auction is unheard of.” The largest of the three is expected to fetch $3,000-$4,000. Another gem is the circa-1892 cast-iron Masonic Temple bank made in Chicago. Haradin noted that it is only the second bank of its type that he has ever seen for sale, either privately or at a public venue. He has no doubt it will realize $3,000-$4,500 at auction. An automotive shape that could bring top money is an Arcade flat-top Limo bank in a green with white motif. It is a fine example of what actual Pittsburgh taxicabs looked like in the 1920s and is emblazoned with a Grant Street address and 4-digit telephone number. This particular bank has been chosen to open RSL’s June 1st sale and could knock down $5,000-$7,000. Still banks will be followed by a beautiful lineup of mechanical banks with excellent provenance. A classic Boy Scout Camp mechanical, ex Larry Feld collection, is one of the finest known examples of its type. It has a presale estimate of $20,000-$30,000. Also, one of only three known Dog on Turntable mechanical banks in red, white and blue paint, ex Markey collection, is in pristine condition and estimated at $4,000-$6,000. 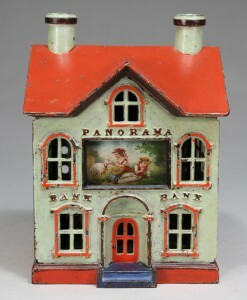 J&E Stevens Panorama cast-iron bank in green and red finish, ex Rich Garthhoeffner collection, est. $20,000-$30,000. RSL Auction Co. image. From the prestigious Bob Brady collection comes a circa-1882 brass pattern for a Stevens Two Frogs bank. “All patterns are very rare, but this is one I’ve never seen before, and to my knowledge, it’s the only one known that is complete,” said Haradin. Estimate: $8,000-$12,000. Two examples of Stevens’ desirable architectural bank known as “Panorama” will be offered. One variation is white with blue and red trim, while the other, green with red trim, has provenance from the revered Rich Garthhoeffner collection. Bright and in near-mint condition, the latter bank is entered in the sale with a $20,000-$30,000 estimate. 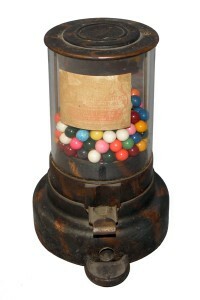 In addition to banks, there will be an excellent selection of antique toys from which to choose. Cast-iron horse-drawn and automotive toys; and early American tin clockwork productions are in the mix. Additionally, 60 European toys will be up for bid, from manufacturers such as Lehmann, Martin, Ingap, Distler and Eberl. 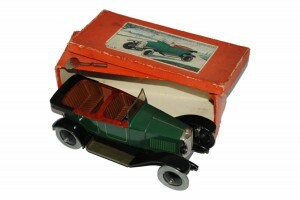 A sporty French JEP Torpedo Rocket open car with original box is estimated at $3,000-$4,000. “The toys in this sale came from a number of small collections, but when brought together as one grouping, they are very impressive. I think toy buyers will be pleasantly surprised,” Haradin said. All forms of bidding will be available for RSL’s Saturday, June 1, 2013 auction, including live via the Internet through www.LiveAuctioneers.com. The sale will begin at 11 a.m. Eastern time. A complimentary lunch will be provided to all attendees. For additional information on any item in the sale, call Ray Haradin at 412-343-8733, Leon Weiss at 917-991-7352, or Steven Weiss at 212-729-0011. Email raytoys@aol.com or geminitoys@earthlink.net. Visit RSL Auction Co. online at www.rslauctions.com. TEHACHAPI, Calif. – Government Auction’s auction on Sunday, April 28, will feature emerald jewelry, antique gold coins, designer handbags and Rolex watches worthy of an ancient Egyptian ruler or modern-day trendsetter. The auction will begin at 5:45 a.m. Pacific time (8:45 a.m. Eastern time) and Internet live bidding will be provided by LiveAuctioneers.com. 12-carat emerald and diamond ring. 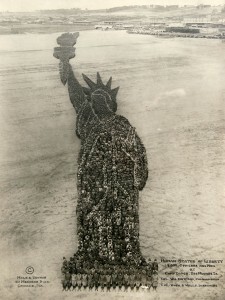 Government Auction image. Cleopatra was perhaps the first “celebrity” associated with the enigmatic emerald. The Egyptian queen had a fascination bordering on obsession with the brilliant green stone and even owned an emerald mine. To those in ancient Egypt, the stone represented wealth and power, and was the symbol of fertility. Cleopatra’s hoard of gemstones has never been found, but her association with the rare gemstone endures. A highlight in the April 28 auction that the last pharaoh surely would have coveted is the 14.97-carat emerald with 10.25-carat diamond necklace. A stunning piece composed of 14K yellow gold, the necklace has a drape motif that suits even the most elegant of evening wear. The 18-inch necklace features 20 graduating emerald and diamond bezel pendants supported by an emerald and diamond lattice with numerous prong- and bead-set round brilliant-cut diamonds. The piece is topped off with matching yellow gold links and a concealed box clasp with twin safeties. Another piece Cleopatra would have been proud to add to her collection is a 12-carat emerald and diamond ring. 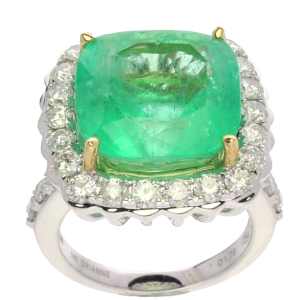 The ring is composed of 14K white gold, with the featured large emerald set within a diamond lattice gallery supported by diamond set shoulders and completed with a 2 1/2-millimeter wide band. There are approximately 28 prong- and bead-set diamonds in the ring weighing 1.70 carats. In keeping with our theme of powerful and sophisticated women, a Louis Stewart designer bag reported to have been owned by Chris Jenner of “Keeping with the Kardashians” is also featured in this auction. The Louis Stewart line is fast becoming the latest trend and is popular with the celebrity set due to the company’s product quality and style. Stewart is a designer who worked for Louis Vuitton before launching his own brand. This brand has not made it to the stores yet, but is receiving high visibility from celebs such as Rhianna and Nicki Minaj. The Louis Stewart handbag featured on April 28 is black patent leather with a small crystal bling lock, and the Louis Stewart logo is displayed on a front silver badge. 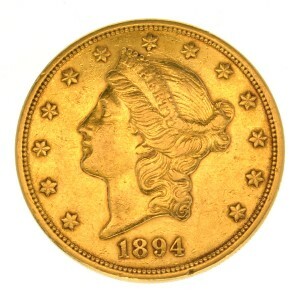 1894-S $20 U.S. Liberty gold coin. 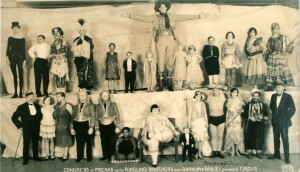 Government Auction image. Another collectible coin for auction is the 1925-D $2.5 U.S Indian Head type gold coin. The Indian Quarter Eagle, as the coin is also known, was minted in Denver. Designed by Bela Lyon Pratt the coin features an incuse, or sunken, design of an American Indian with full feather war headdress on the obverse and the American eagle on the reverse. 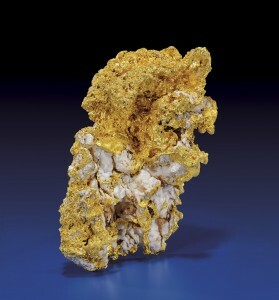 The piece is 18mm in diameter, weighs 4.18 grams, and is comprised of .900 fine gold and .100 copper. An exceptional Rolex Oyster Perpetual wristwatch is an auction highlight in the elite timepiece category. This man’s watch is crafted in stainless steel with silver sunray finish dial and steel hour posts and band. Additional auction highlights include a 5.00-carat princess-cut diamond, Chanel sunglasses, Louis Vuitton leather bag, Formula 1 Hublot Watch and much more. For additional information on any lot in the sale, call Debbie at 661-823-1543 or email info@governmentauction.com. CLOSTER, N.J. – Since the beginning of commercial American railroading, trains have had a significant presence in New Jersey. Since the 1830s, hundreds of now-defunct companies operated on rail lines within the Garden State, although their landmark terminals are now long gone or, in some fortunate cases, protected as historic places. However, few in New Jersey knew of the existence of one bustling railway hub located in the city of Maywood in the 1930s and ’40s. It operated behind closed doors in the home of the late Ray Hoelz, whose “railway yard” was built to accommodate a superb collection of oversize scale-model trains. GE model train locomotive and tender manufactured by Icken. Ray Hoelz estate collection. Sterling Associates image. On Wednesday, April 24, Ray Hoelz’s remarkable assemblage of antique and pre-World War II trains, which he began collecting in 1936, will make its public debut as the headliner in Sterling Associates’ Spring Auction. “This is an exceptional estate collection, unlike anything we’ve seen before,” said Sterling Associates’ owner, Steven D’Atri. “Although Ray Hoelz was an accountant and auditor by profession, he came from a family with close ties to the railroad. His father worked for the Erie Railroad, so that early exposure to trains undoubtedly inspired his interest in collecting toy versions of them. His emphasis seems to have been on acquiring very large, extremely well-detailed trains, which is what collectors love.” All pieces from the collection will be auctioned individually. The collection consists of more than 60 “third rail” train engines and cars that were either commissioned, purchased, or hand-built by Ray Hoelz. All are extremely realistic, with even greater detail than one would see on expensive antique trains, D’Atri said. “These are big trains. The Pullman cars are almost two feet long, and some have wooden floors. Even the seats and people in the cars are minutely detailed. The freight cars have the same sort of writing and brand logos you’d see on real trains,” D’Atri continued. Most of the manufactured or custom-made trains were produced in the 1930s by such firms as Icken, Lobaugh, Westbrook and Miniature Locomotive Company. The majority are of metal, while a few were crafted of wood. The engines, chemical cars and many of the components were expertly machined from brass and steel. 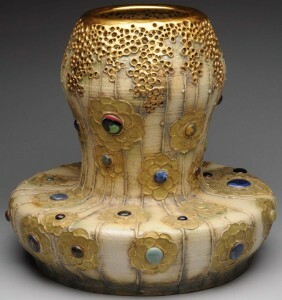 Fine, decorative and Asian art, as well as estate jewelry and other antiques comprise the greater portion of the 500-lot auction. The 50-lot jewelry section is led by a sparkling 2-3/4 carat GIA-certified diamond and platinum engagement ring with matching wedding band. It is followed by various other jewelry designs and forms, mostly gold. 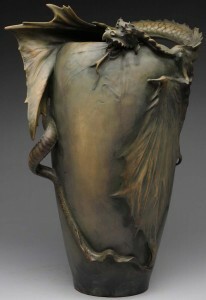 A wonderful array of bronzes includes 19th-century through contemporary works. Highlighting the group are a silvered Russian bronze after Lanceray titled “Don Cossacks Crossing the Balkans,” and a large hunting dog bronze by Auguste-Nicolas Cain (French, 1821-1894). The names of the dogs – Caron and Pompier – are branded in the ground. Also on offer is a well-executed life-size bronze torso by Greg Wyatt. Among the paintings chosen for the sale are a George Morland (British, 1762-1804) oil-on-canvas winter landscape with horses, and an Italian masterpiece depicting the interior of a church with people. Both artworks are of “exceptional quality,” D’Atri said. 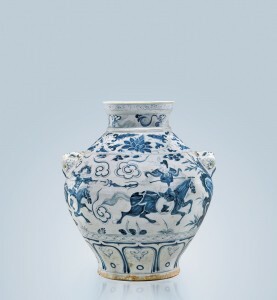 Sterling Associates is known for its ability to source fresh-to-market Asian art and antiques. The April 24 auction includes a varied selection of fresh works from an Asian collector in New Jersey who trusted his well-cultivated eye and always bought wisely. The consignment includes porcelains, including a pair of circa-1750 Chinese Qianlong famille rose vases, and a Chinese painting of a foggy mountain scape with calligraphy and seals on woven paper laid to silk. An eclectic grouping of 19th- and 20th-century lighting and accessories will cross the auction block, as will a nicely blended offering of furniture from multiple sources. A top furniture piece is an American Renaissance Revival walnut cabinet attributed to Herter. 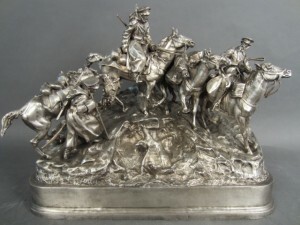 After Evgeny Alexandrovich Lanceray, Russian (1848-1886), ‘Don Cossacks Crossing The Balkans,’ silver over bronze. Sterling Associates image. On the vintage collectibles side, there are two Wurlitzer 1050 “bubbler” jukeboxes, and for the scientifically inclined, there’s an 1850s daguerreotype lens made by C.C. Harrison. It has a large brass cylinder encasing the lens and is marked with a serial number and the manufacturer’s name. “Photographic antiques are hot at the moment, and we already have multiple absentee bids on it. I think this lens is going to fly,” D’Atri said. Sterling Associates’ Spring Auction will be held on Wednesday, April 24, 2013, starting at 5 p.m. Eastern Time. It is structured as a hybrid auction in which previewing is available at the physical gallery, but all bidding is exclusively absentee, by phone or live via the Internet through Artfact or LiveAuctioneers. The sale will be run exactly like a live auction, but without a live audience. Gallery preview times are 10-5 on April 19 and 20; 10-7 on April 23, and 10-3 on auction day. The gallery is located at 70 Herbert Ave., Closter, NJ 07624. Inquiries: call 201-768-1140 or e-mail sterlingauction@optonline.net. 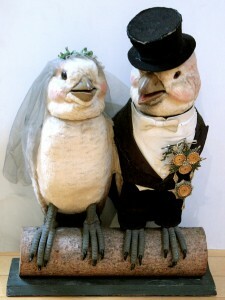 Visit Sterling Associates online at www.antiquenj.com. 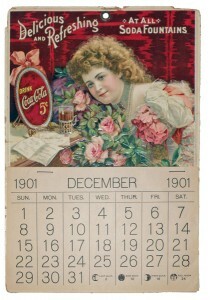 View the fully illustrated catalog at www.LiveAuctioneers.com or www.Artfact.com. Doorstop expert Jeanne Bertoia with a rare figural cast-iron Popeye doorstop made by Hubley. Image courtesy of Jeanne Bertoia. Jeanne Bertoia is a renowned expert on the subject of cast-iron figural doorstops and authored the groundbreaking reference book titled Doorstops – Identifications & Values. Over the past 35 years, she has bought, sold and collected some of the finest known antique and vintage doorstops. Aspects of her personal collection will be displayed in the armory foyer throughout the popular three-day antique show that many consider the opener for Philadelphia Antiques Week. Approximately 75 doorstops have been chosen for the exhibit. Most are in mint or near-mint condition. Among the many rarities are a Littco Halloween Girl, large-size animal figurals by Bradley & Hubbard (including Turkey, Heron, Rabbit, Rooster), the complete Art Deco series designed by Fish, and many other favorites personally selected by Jeanne Bertoia for inclusion in the colorful display. “I have known the armory show’s promoter, Frank Gaglio, for many years. He always produces a beautiful show, so I was especially pleased when he called up and asked if I would like to display pieces from my collection this year,” said Bertoia. Show hours are 10 a.m. to 6 p.m. April 12 and 13; and 11 a.m. to 4 p.m. April 14. The venue is located at 22 S. 23rd Street between Market and Chestnut Streets in Philadelphia, Pa.
For additional information, log on to www.barnstar.com. VINELAND, N.J. – Bertoia Auctions’ May 3-4 ‘Toy Picks’ auction features the pick of the crop in dozens of popular collecting categories. In addition to a vast array of vehicles, European clockwork toys and comic character favorites, the sale lineup also includes dollhouses and miniatures; trains, steam engines, banks and Part I of the late Bill Bertoia’s superb collection of occupational shaving mugs, which will be auctioned during the second session. The late Bill Bertoia (1950-2003) was a leading light and indisputable expert in the field of antique toys and cast-iron banks, but few realized he was an advanced collector of occupational shaving mugs. Although Bill’s mug collection would have been welcomed at any major American art museum, it was never publicly exhibited. A very personal collection amassed over a 15-year period, it was displayed with pride in the antique-filled home Bill shared with his wife, Jeanne, and children Michael and Lauren. On Saturday, May 4, Bertoia’s will auction Part I of Bill’s shaving mug collection. Approximately 50 mugs will be offered, ranging from pristine examples of more-common mugs – conservatively estimated at $100-$200 – to rare, highly desirable mugs in the $5,000 range. Jeanne recalled that no matter what he collected, Bill was a stickler for quality, condition and originality. “He was very particular when buying toys and banks, and he took the same approach with his mugs. He especially liked mugs with images of people engaged in their work, and hand-applied details, like gilt trim and a person’s name,” Jeanne said. Bill Bertoia’s occupational shaving mug collection covers a broad variety of themes: automotive, horse-drawn, nautical, storefronts, sports. Some of the more unusual mugs include: lunch wagon, $3,500-$5,000; clothing store, $800-$1,200; barrel stake truck, $1,000-$2,000; chefs at work in a busy kitchen, $1,000-$1,500; marble arch cutter, $1,000-$1,500; dump truck, $1,000-$2,000; delivery wagon builder, $800-$1,200; and horse-drawn hearse with open curtain. $800-$1,200. The Lehmann collection includes many autos, including a rare, yellow 12-inch Baldur; two motorcycles – a boxed Echo and a Halloh with litho’d box lid – a Heavy Swell, Ski Rolf and Ikarus. A boxed Masuyama and an equally desirable Man-Da-Rin with its rare and beautifully lithographed original box also occupy top slots in the collection. Alongside the Lehmanns are several scarce French-made Martins, including a Gendarme and a Parisian gentleman in top hat with cane and cigar. “This is only the second time we’ve seen this particular toy,” said Michael Bertoia, referring to the wind-up gentleman. Forty European penny toys are entered in the sale, with themes that cross several categories, including transportation and people. Among the colorful tin novelties to be auctioned are a double Irish mail cart, sledding boy, skier and Chinese man with parasol. Several impressive toy boats will sail toward new harbors on auction day. Among the coveted Marklins are a restored 46-inch first-series Battleship Maine, a second smaller-size (32-inch) first-series Battleship Maine in all-original condition, and an especially attractive 20-inch first-series Battleship Sperber. Additionally, Bertoia’s fleet includes several other battleships, cruisers and boats by Carette and Fleishmann. Early hand-painted cars include an all-original red Alfa-Romeo No. 2 racer by CIJ, a yellow 4-door Marklin Torpedo open car, and a Bing steam-driven Spyder. Around 10 other French automobiles by Citroen and JEP also join the auction selection. Other European toys include two exquisite Ferris wheels attributed to Doll et Cie. The auction also features the Tom Palumbo pressed steel collection, comprising 40 to 50 vehicles primarily by Sturditoy. “What makes this collection so attractive is the fact that the toys are 100 percent original,” Michael Bertoia noted. The large assortment of European and American trains and accessories includes both live steam and clockwork examples. Leading the group are a very early Volt-Amp loco and tender; a gauge 1 Marklin 1021 steam-outline loco and tender with cast-iron frame, a Carlisle & Finch suspension bridge, and many Marklin trains and cars. Of special note are Marklin’s gauge 1 Pabst Blue Ribbon and Schlitz advertising cars, and a well-detailed chicken transport car with functional cage doors. Rounding out the railroad bounty are productions by Bing, Schonner, Carette and Knapp; as well as a train station by Marklin. Between 80 and 100 cast-iron banks will be waiting to show off their tricks. Standouts include a circa-1889 Kyser & Rex mechanical Globe Savings Fund bank, a Lighthouse and Girl in Victorian Chair (both semi-mechanicals); and several excellent still banks – a small Boston Statehouse, Ives Palace and rare Arcade Eggman. Bertoia’s is known for offering fine figural cast-iron doorstops, all personally vetted by Jeanne Bertoia, a renowned doorstop authority. The selection Jeanne has prepared for the May auction incorporates florals, people, animals, houses and whimsical shapes. A few Fish designs are included, e.g., a Deco Messenger and Rhumba Dancer. Also in the mix are clowns, a Rabbit Pushing a Wheelbarrow, and a Lobster. Cast-iron automotive collectors will find many excellent racers, motorcycles, taxis and work vehicles waiting to exit Bertoia’s garage. Around 40 horse-drawn cast-iron toys have been consigned, as well. Three Dent productions – a fire engine, horse carriage and hook & ladder – exhibit near-mint condition and are believed to have been originally purchased at the Dent toy factory by legendary collector the late Covert Hegarty. Just in time for spring cleaning and redecorating, Bertoia’s sale features 65 lots of miniature furniture, including designs from Gottschalk and Rock & Graner; plus 20 upscale dollhouses and room boxes, most by top German makers. Approximately 150 country store and advertising items add early American charm to the auction list. There are several salesmen’s samples, around 20 glass showcases, advertising signs, apothecary jars, and tea and coffee bins. Bertoia’s Toy Picks Auction will begin at 12 noon on Friday, May 3; and 9 a.m. on Saturday, May 4, 2013. 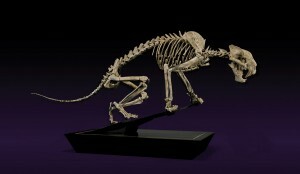 All forms of bidding will be available, including absentee, by phone or live via the Internet through LiveAuctioneers.com. To contact Bertoia Auctions call 856-692-1881; toys@bertoiaauctions.com. Online: www.BertoiaAuctions.com.